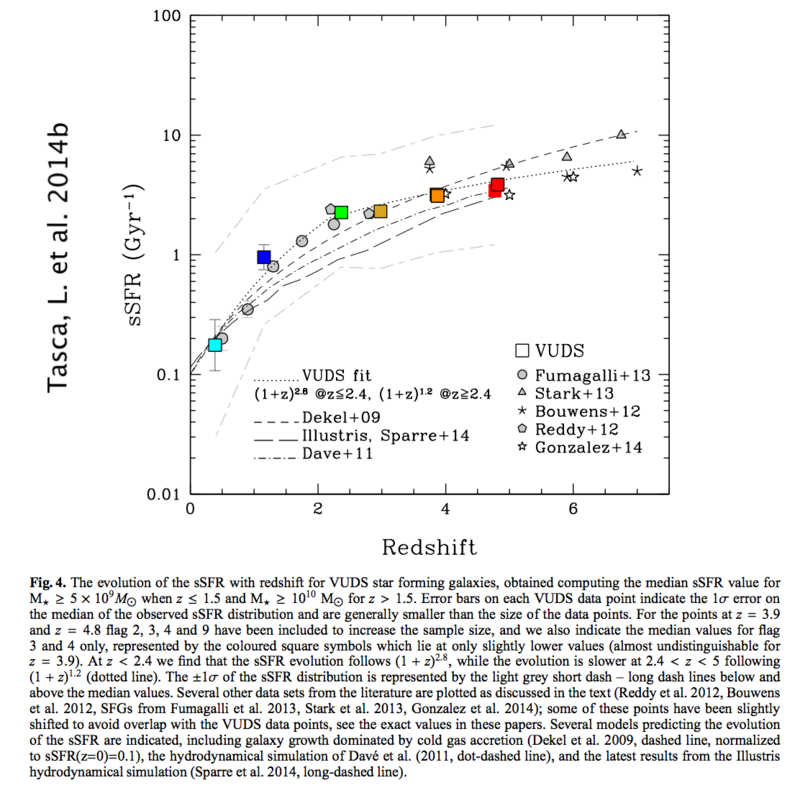 The VIMOS Ultra Deep Survey (VUDS) is a spectroscopic redshift survey of ~10.000 very faint galaxies to study the major phase of galaxy assembly 2 < z ≲ 6. 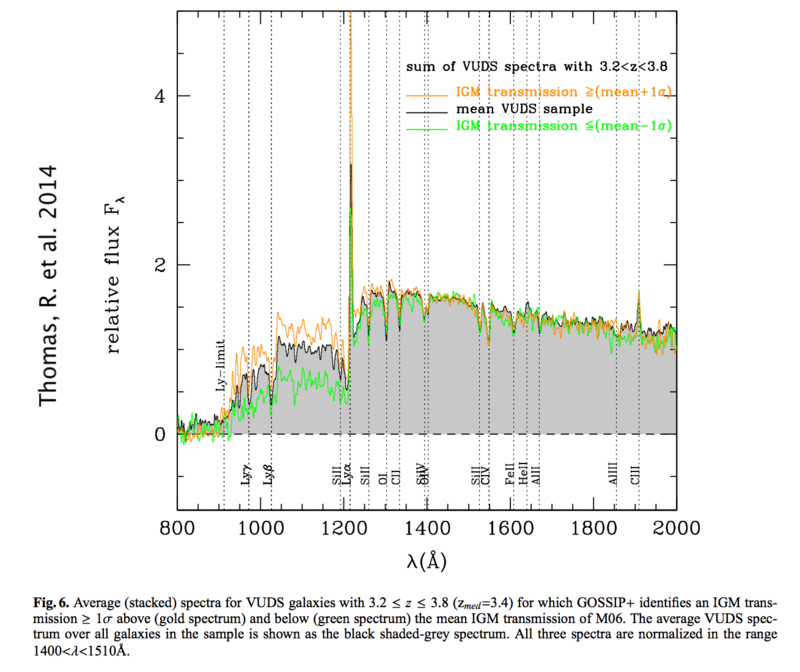 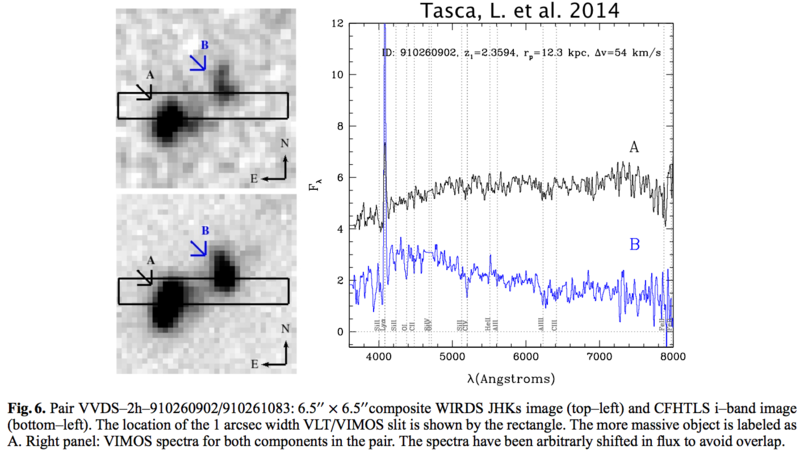 The survey covers 1 deg2 in 3 separate fields: COSMOS, ECDFS and VVDS-02h, with targets selection based on an inclusive combination of photometric redshifts and color properties. 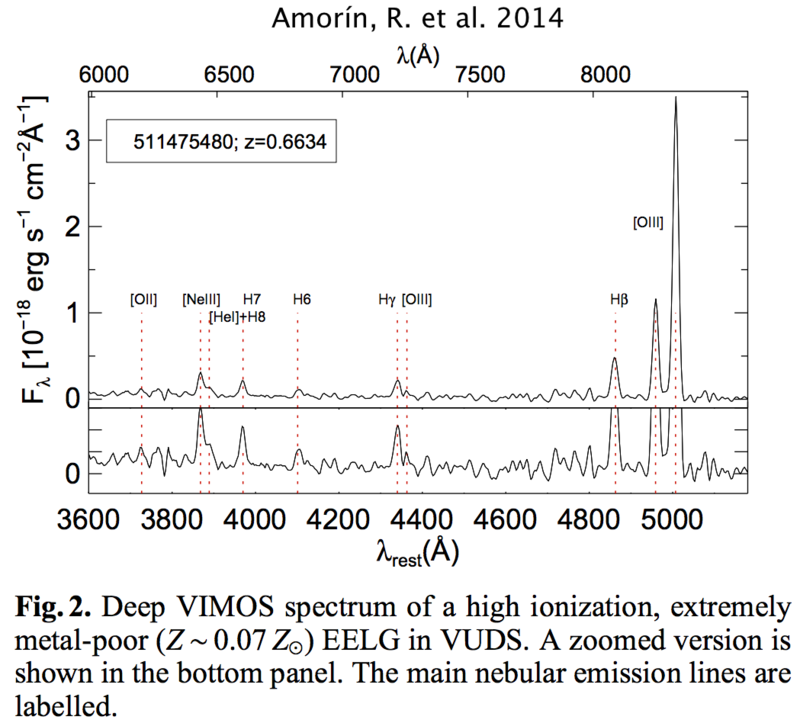 Spectra covering 3650 < λ < 9350 Å are obtained with VIMOS on the ESO-VLT with integration times of 14h. 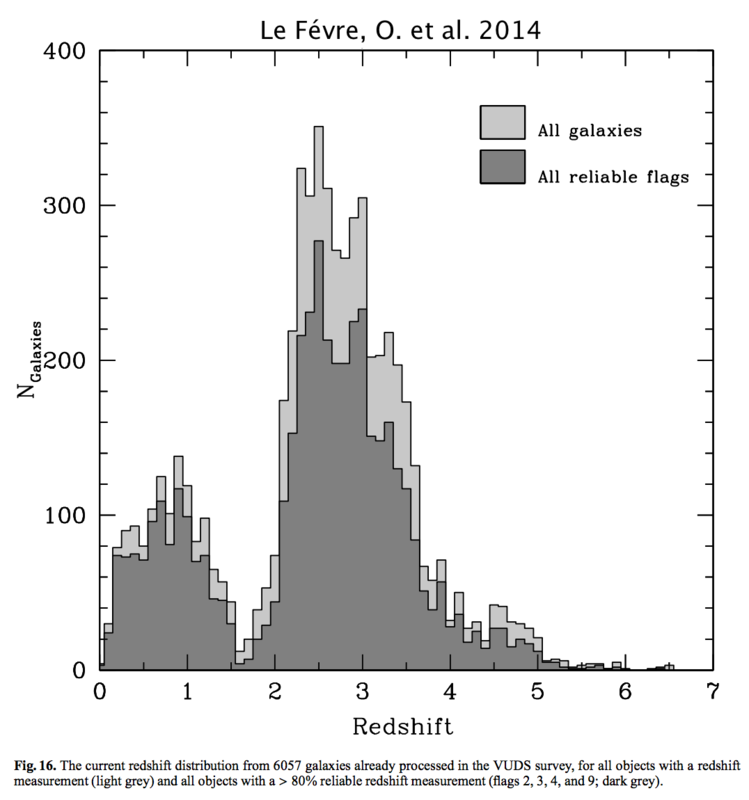 The survey has a completeness in redshift measurement of 91%, or 74% for the most reliable measurements, down to iAB=25, and measurements are performed all the way down to iAB=27. 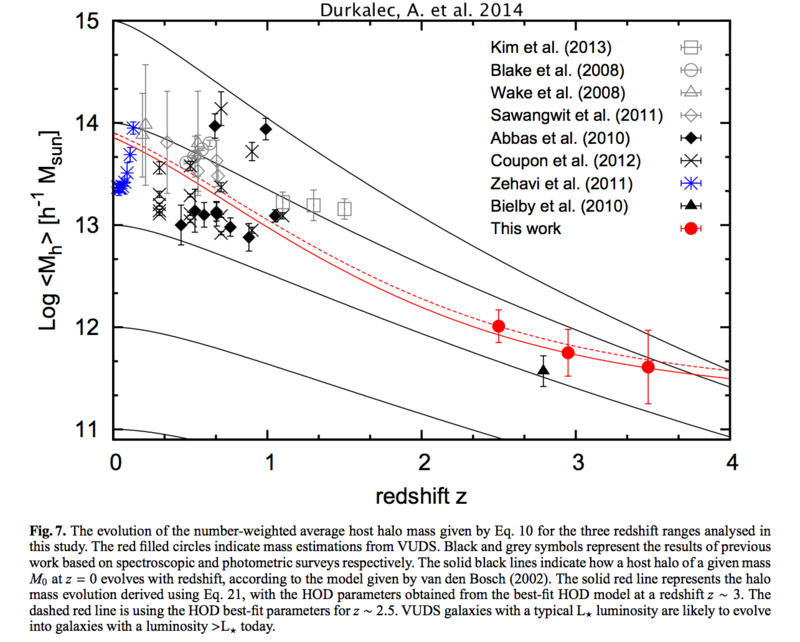 The redshift distribution of the main sample peaks at z=3-4 and extends over a large redshift range mainly in 2 < z < 6. 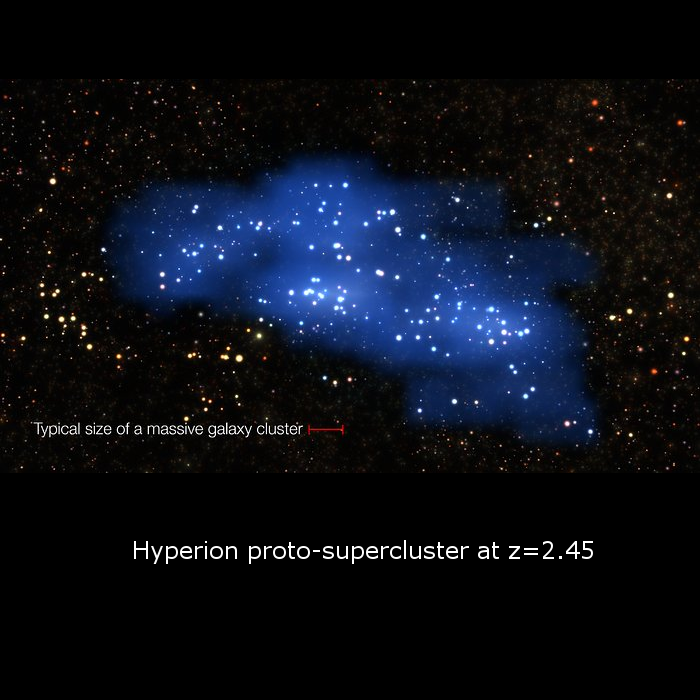 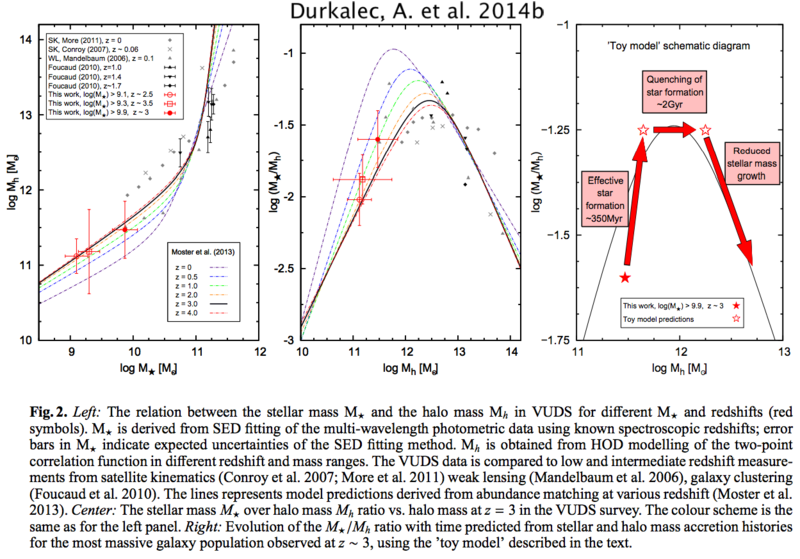 At 3 < z < 5, the galaxies cover a large range of luminosities -23 < MU < -20.5, stellar mass 109 Msun < Mstar < 1011 Msun, and star formation rates 1 Msun/yr < SFR < 103 Msun/yr. 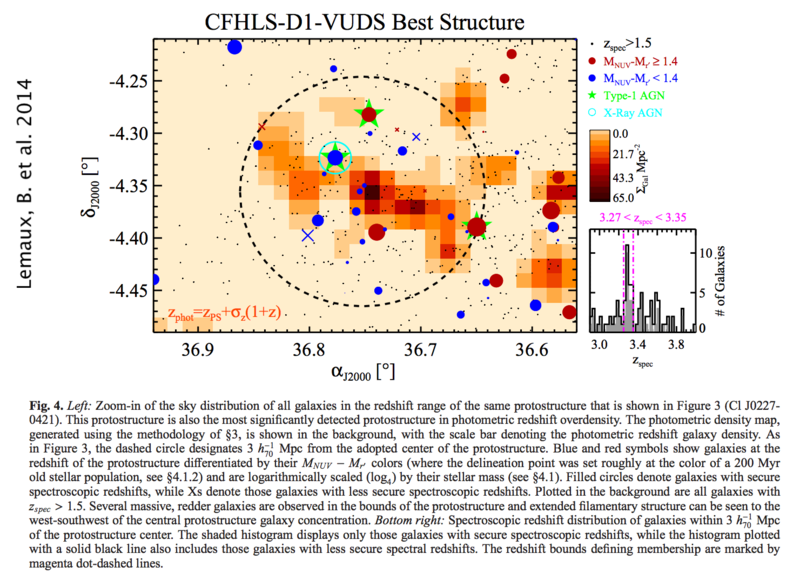 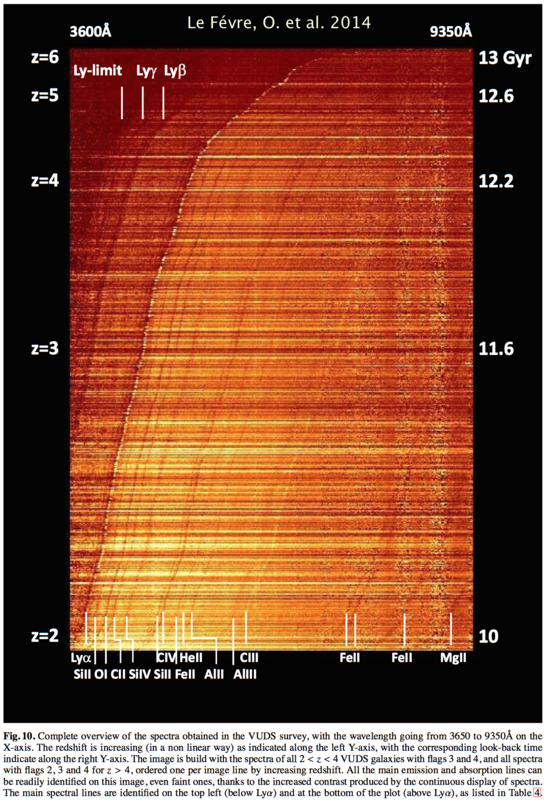 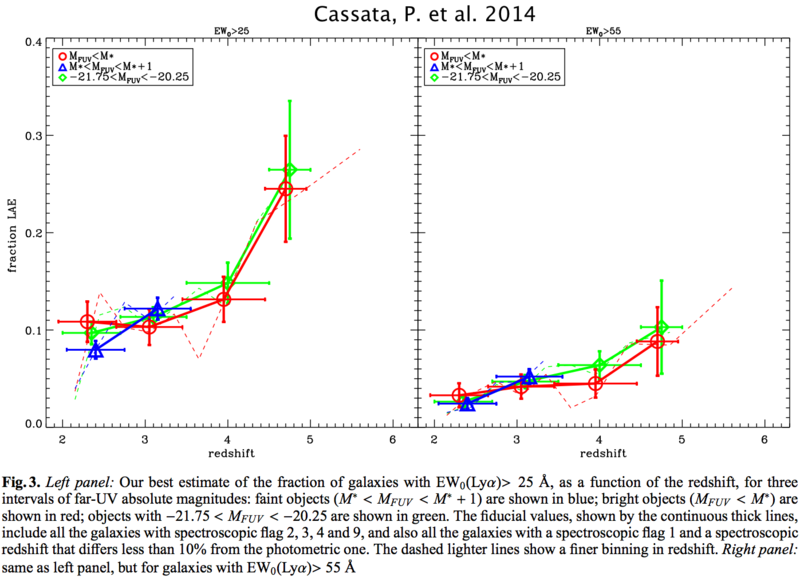 With ~6000 galaxies with reliable spectroscopic redshifts in 2 < z < 6 expected when complete, this survey is the largest at these redshifts and offers the opportunity for unprecedented studies of the star-forming galaxy population and its distribution in large scale structures during the major phase of galaxy assembly.